Pipeliner CRM is rooted in proven and longstanding economic principles. These core principles are resonated in the name of each new version. Where Do Our Version Names Come From? You may have noticed that we have a rather unconventional way of naming our releases, and you may have wondered why we do that. Like any other software developer, up until 2014 we historically numbered each new release. But after eight years of programming—and more than 30,000 builds and 7 major releases—we broke from tradition. 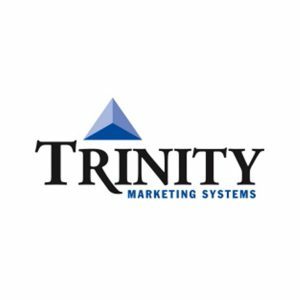 We are re-envisioning CRM, and decided that our naming convention should reflect such a fundamental shift. Pipeliner CRM is the first and only CRM solution rooted in proven and longstanding economic principles. 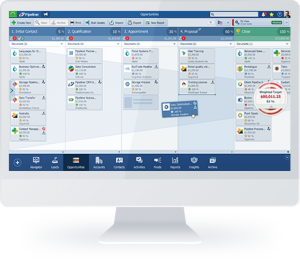 Far more than just a CRM solution, Pipeliner is tightly focused on enabling business success. Most companies embrace building software—but putting economic concepts into practical use is something else entirely. We’re holding ourselves to a higher standard. Nicolaus Kopernikus was a Polish mathematician and astronomer who formulated a model of the solar system that placed the Sun at its center, rather than the Earth. The Earth being the center of the universe was the commonly accepted “truth” of the time, until the publication in 1543 of Kopernikus’s book On the Revolutions of the Celestial Spheres. Today we understand the magnitude of his discovery. Just as the release of Kopernikus’s book was a major shift in the view of the universe, the release of Pipeliner Kopernikus is a similarly groundbreaking shift in the CRM marketplace. In this case we have tapped probably the most famous Greek philosopher, Aristotle, and a theory he evolved called the Theory of Universals. Universals are types, properties or relations that are common to all of existence. In Aristotle’s view, universals only exist where they can be seen and experienced, never in theory only. In addition, a universal is identical in each of its instances. As an example, a universal property could be the color red. All red things are similar in that there is the same universal, redness, in each of its occurrences. In another example, the universal property of being an apple appears in every instance of apples. 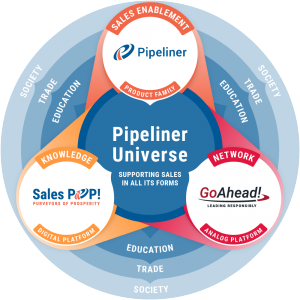 So how have we applied Aristotle’s Theory of Universals to Pipeliner? Each of the features we have instituted in this version deal only with factors, events and issues that exist in the real world. The name for this version comes from an ancient science of chronology—the science of arranging events in their order of occurrence in time. The founder of scientific chronology, Eratosthenes of Cyrene (c. 276 BC – 195/194 BC), set out to revise the dates of the chief literary and political events of his time. In addition to establishing this important field, Eratosthenes was also the first person to calculate the circumference of the Earth, and may have accurately calculated the distance from the Earth to the Sun and invented the leap day. In the same way, Pipeliner CRM allows companies to rapidly, easily and visually establish the order of events (both past and future) for accounts and opportunities. Pipeliner also facilitates the mapping of opportunities—both in terms of relationships and geographically. We took the name of this version from the Law of Continuity, a principle introduced by German mathematician and philosopher Gottfried Leibniz in 1701, and is the principle that “whatever succeeds for the finite, also succeeds for the infinite. Translating this over to business, what is a salesperson doing today, every day, every hour, every minute? Activities. Everything is an activity—a task, appointment, meeting, call, sending of collateral, and more. 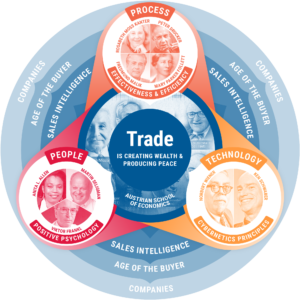 It’s the tasks and activities that make it possible for opportunities to rapidly move from stage to stage of the sales process—creating continuity throughout the sales pipeline. For that reason, enhancement of Pipeliner CRM’s powerful Sales Activities functionality is at the heart of this release. With Pipeliner CRM version 10, we have come to a place where we are consolidating and streamlining a number of Pipeliner’s already advanced data methods, taking vital features of its structure and making them even more efficient. We’re collecting data and visualizing it in an intelligent, mathematical form so that people can better grasp it. This version is called Collection, after an 8-volume work of the same name written by ancient Greek mathematician Pappus of Alexandria in about 340 AD. Collection contains a systematically arranged account of the most important results obtained by Pappus’s predecessors in the field of mathematics. It also contains notes explaining and expanding on previous discoveries. With the new breakthrough release of Pipeliner Automata, we have reached a whole new level of operation. With this version we are implementing cybernetics—the science used to approach and understand complexity. The use of cybernetics is the reason we adopted the name Automata—a work written by Greek mathematician Hero of Alexandria (c10-c70 A.D.). This particular work, two thousand years ahead of its time, is considered some of the first formal research into cybernetics.